The third edition of the Bushmen’s Trail Run started off with the skies pouring down. This did not deter the enthusiasm of participants who slowly made their way to the stunning Wagendrift Dam in Estcourt. The event has steadily grown over its three year history with a record number of entrants this year. The first day saw runners traverse through breath-taking trails of the bushveld, the courses were not going to be easy as muddy paths were sure to be found. The three distances on offer – 20km, 10km and 5km were tackled by an array of runners. Day 2 brought pleasant conditions to runners, with the earliest start by the 30km participants. Again, the journey was not going to be without its challenges and runners returned with muddied selves – proof of the rains that passed. Live music by Alex Licen and Matt Gardiner kept the crowd entertained, while dam-side pilates by Christine helped runners stretch out before tackling day 2. With plenty of hearty food options and craft beverages, the race village continued to fill up through to the evening. 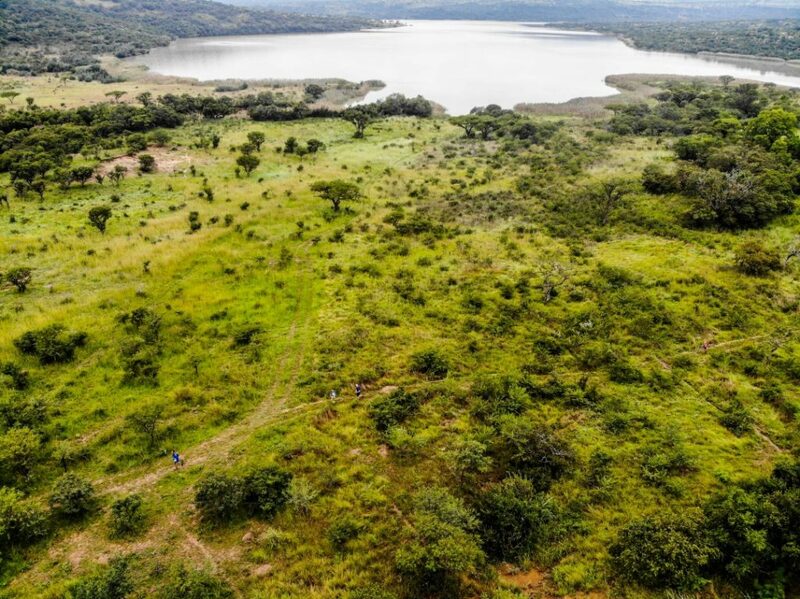 The Bushman’s Trail Run is a proud Collaboration between KZN Trail Running and Estcourt Athletics Club, whose combined efforts together with the support of local companies such as Eskort – Life’s Delicious, have made this event a success year on year. The magic of these trails and the relaxed atmosphere continues to draw participants and spectators to Estcourt for a weekend of authentic trails and family fun. Photograph Credits: Gareth Roberts Photography, 369 Communications.